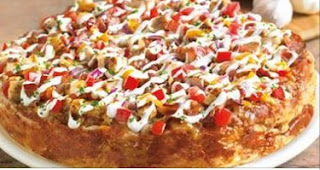 For a limited time, Pizza Hut is offering a Medium 3-Topping Pizza for $6 (regularly $13.54) when you enter promo code TEOMED3T6 at checkout! Valid for delivery or carryout. Note that you need to enter the promo code after all items are in your cart and you must have a $10 minimum order for delivery.